Discussion in 'Technology News' started by bssunilreddy, Jan 19, 2018.
doesany one face any problem regarding this Meltdown + Spectre in their pc. how about mobos based on older chipsets like h61,b75,h81 etc?Will these ever receive any bios updates at all? For laptop HP should release bios update,for mobo Asus should release bios update.If they don't release it then you can install MS spectre update when it is made available through windows update. Windows update will be downloaded automatically or is there a need to do it manually? Depends on MS.Applying spectre patch on 4th gen & older intel processors may significantly reduces system performance which many people may not like so MS may make this update optional. If you are on windows 10,it will be downloaded automatically,provided of course the update service is enabled. If for some reason it doesn't get downloaded by itself,you can google the specific update that contains the necessary fixes and patches and then download and install it manually from windows update catalog-this is what i did for installing the update that contained the fix for meltdown as windows update service was taking too long to download it automatically on my system. Meltdown patch was always included as auto update on win 10 & on win 7/8.1 it came bundled with monthly security update meaning it can't be skipped unless one decides to not update anymore(if you skip a month update then it automatically adds to next month update & so on). When is this update coming out? Also will it effect performance in systems with i5 and 1600? Your laptop i5 is 6th gen I think so it shouldn't be an issue & for Ryzen processors also it should not be of any concern as AMD processors were already harder to exploit using spectre.No idea about release date but it should be on major tech news channels the day MS release these updates(every month 2nd tuesday is usually the monthly patch release day for win 7/8.1 so if MS is planning on releasing this month then it should be around that time). So, it will be only BIOS + MS update. 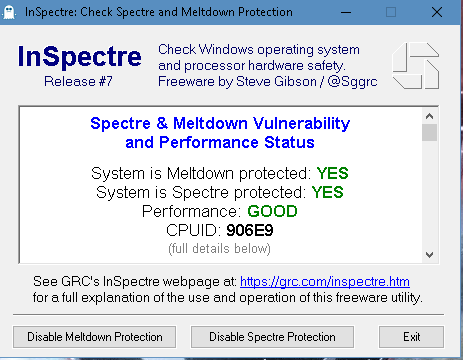 No!For spectre it will BIOS or MS Spectre update(in case BIOS update was not released by device manufacturer). 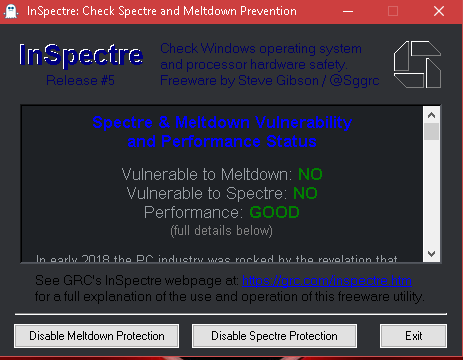 I download both Spectre & Meltdown Windows 10 Updates and MSI Bios Updates as well and updated them. I have MSI mobo too (full spec in sig). Please share links to patches!